Last week, Mayor Durkan announced her proposal for a renewal of the 2012 Seattle Library Levy, which expires at the end of this year. Durkan is proposing a levy of $213.3 million over seven years, an increase from the $123 million raised by its predecessor. Let’s dig into the numbers. catching up on some overdue building maintenance. And under the leadership of Chief Librarian Marcellus Turner, the Seattle Public Library delivered results on all of those fronts, despite rising costs. Here are the Library’s published highlights from 2018, when the Library Levy pumped $19.4 million into the libraries — about 25% of its entire budget. Nevertheless, a jump from $123 million to $213.3 million is significant, and we need to understand where the money is going. For starters, the city estimates that $167.4 million will be required just to sustain the current level of service for seven more years (including the extra service funded by the 2012 levy). Given cost escalations for staff, materials, collections, and building maintenance, that seems about right. 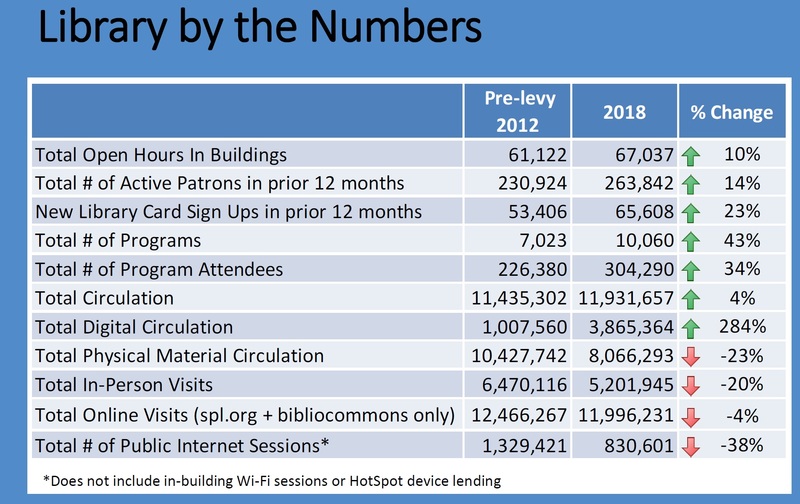 Increasing library hours. She proposes adding almost 5,000 more operating hours per year, and 52-week-per-year operation. That would include expanding Sunday hours at all branches, and additional expanded hours at seven branches: High Point, NewHolly, Delridge, Green Lake, International District Chinatown, Wallingford, and South Park. Altogether this would cost $5.8 million over the seven year period (the city’s marketing materials incorrectly — or vaguely — claim it’s $67.5 million, but that’s double-counting some of the $167.4 million allocated above toward maintaining current levels). Eliminating overdue fines. The Mayor is proposing eliminating fines for overdue materials. 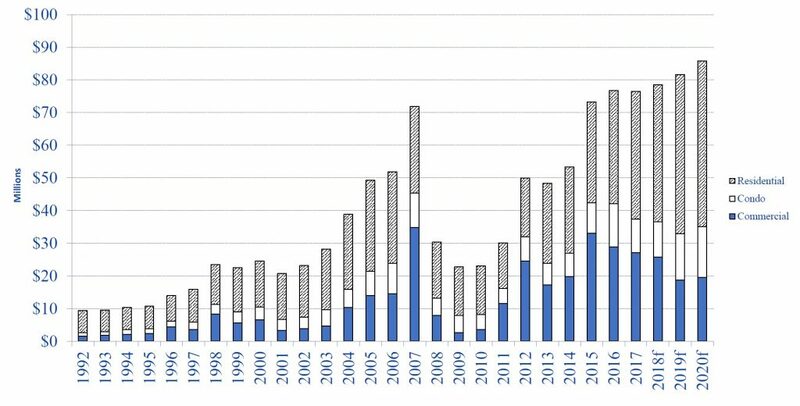 In her announcement last week, she said, “Higher average balances and blocked accounts occur in greater numbers in lower-income and historically underserved neighborhoods, resulting in almost 20 percent of Seattle Public Library accounts without access to the library.” But there’s another good reason to do this: as the city’s 2019 budget noted, revenues from fines are decreasing anyway, because usage of the Library’s collection is shifting from physical to electronic materials (see the statistics in the “Libraries by the Numbers” table above) and electronic loans don’t have overdue fines since they automatically expire. Nevertheless, offsetting the lost revenues from eliminating fines would cost $8 million over seven years. Closing the digital divide and promoting digital equity. The Mayor’s proposal includes $5 million for maintaining and expanding the collection of digital resources, which the city claims can cost 5-6 times the cost of physical versions. It would also invest $4 million in high-speed Internet access at library facilities, and $5.3 million to provide Internet access outside the library branches through programs such as its wildly successful “wi-fi hotspot” loan program. Seismic retrofits. Three library branches — Columbia, Green Lake and University — have been deemed high-risk for their unreinforced masonry. $14 million would be dedicated to retrofits for these three buildings. 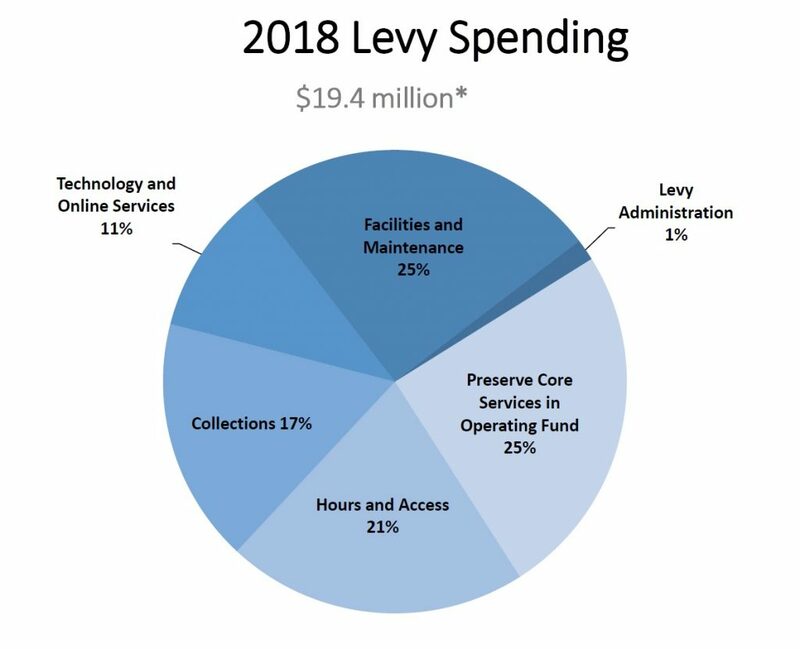 In addition, the 2019 Library Levy proposal includes $4 million to replace the aging software that controls book circulation and the purchase and management of the Library’s collection. The city estimates that the new levy (which is a property tax, like the current one) would cost the median homeowner about $7 per month, compared to $5.42 for the 2012 levy. The levy proposal will need to go through the City Council’s legislative process before it goes on the ballot for voter approval this fall. It will most likely be shepherded by Council member Juarez through her Select Committee on the Library Levy for 2019. Juarez’s regular committee meets tomorrow and will hear a presentation on the Library Levy 2018 report; the first discussion on the 2019 levy proposal will be next Thursday. On the REET issue, the Times is correct that the city has indeed reduced its use of REET funds for library major maintenance and substituted Library Levy funds. However, the picture is more complicated: REET is a highly volatile revenue source since it is tied to the volume of real estate transactions, and thus is a good source of funding for one-time projects but a poor one for ongoing needs. Also, the state legislature is currently working on legislation that would relax some of the restrictions (and extend some temporary relaxations of those rules) on what REET funds may be used for, allowing the city to spend REET on other urgent needs such as affordable housing. For its part, the Council is unlikely to reduce the levy amount. The 2012 levy passed with 64% of the vote, a comfortable margin showing the voters’ general support for its library system. Council members are more likely to want to earmark more support for branches in certain districts, both in terms of increased operating hours and building maintenance/upgrades. It is an election year for the seven district-based positions, after all.